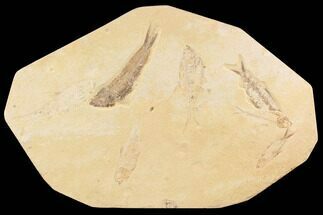 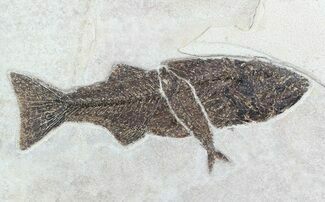 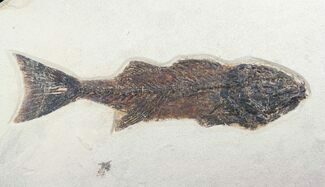 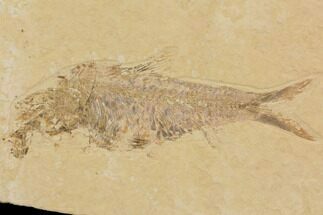 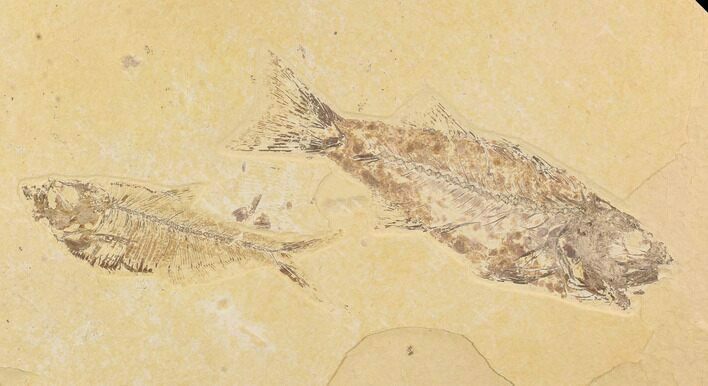 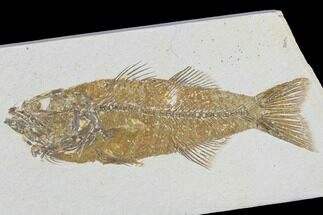 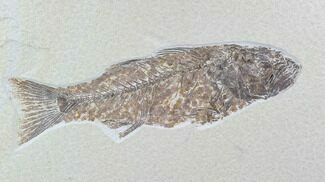 This is a plate featuring, two fossil fish from the Green River Formation of Wyoming. 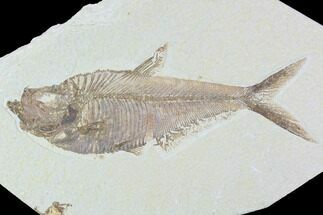 The larger fish is an uncommon Mioplosus labracoides and the smaller is Diplomystus dentatus. 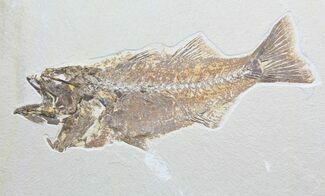 It was collected this past summer from Warfield's Quarry near Kemmerer. 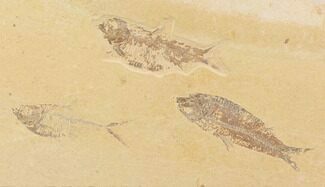 All the fish are highly detailed though two are fairly faint color wise.